How do I explain my deal when I’m unsure myself? I’ve been in the hospital 10 of the last 18 days. I went in with my sodium level at 114. I didn’t have a clue that 114 is life-threatening! This time Doctor Stefan and my Lahey transplant team were in charge of my care. 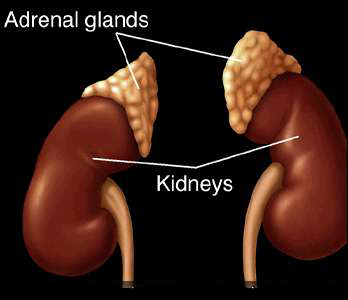 They ordered the kidney consult after a few days suspecting adrenal issues. YUPP! That was it.No diuretics, sodium still crazy, decided to look for secondary issues. The sodium thing is confusing! Some think the answer to to eat salt. I’ve had some great and very tempting suggestions: eating a delicious fried clams and yummies fisherman’s platter with fries enjoying laughs with my pal Glenn; Chinese food; pier fries; salt and vinegar chips. MY MOUTH IS WATERING! But that’s a different kind sodium. I learned that last week. It’s dietary sodium. The sodium I need is blood serum sodium. 2 Responses to How do I explain my deal when I’m unsure myself? Finally!! Glad to hear that they know the culprit. I’d love to come visit while you’re in… will check my schedule for the week. I am not pleased that you have to go back to the hospital again. However, I am VERY pleased that they have figured out what the problem is and are going to help you and that God has given doctors the wisdom to figure these things out. My thoughts, prayers, and love are with your family.